The production is a joint venture between Tanzania’s longstanding theatre company, Parapanda Theatre Lab and Gothenburg City Theater. This partnership goes back to 2004 and since then there have been a number of workshops and exchanges and the two theatrical institutes. 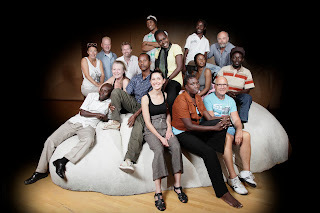 The team have now reached a point where they are embarking on a cutting edge production which marries interpretations from both Swedish and Tanzanian. The seeds of what is expected to be a vibrant production were planted in 2009 with meetings and further discussions held in May this year.